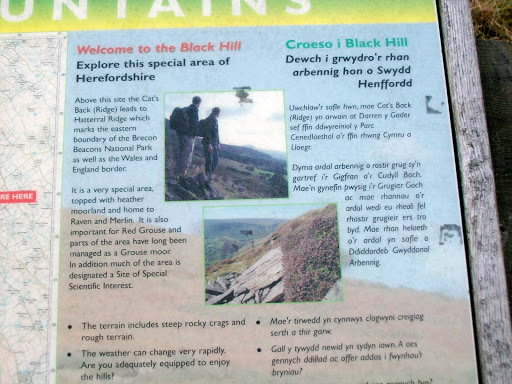 Today the forecast was more promising and so we headed uphill onto Black Hill and headed towards Hay Bluff and a return down the Olchon Valley. Once again the Microspikes made an appearance. 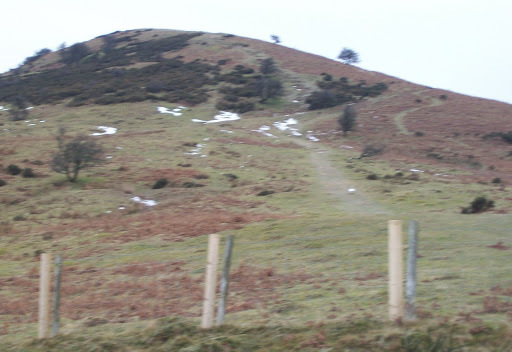 We parked at the car park at the foot of the south end of the Black Hill and Crib Y Garth. 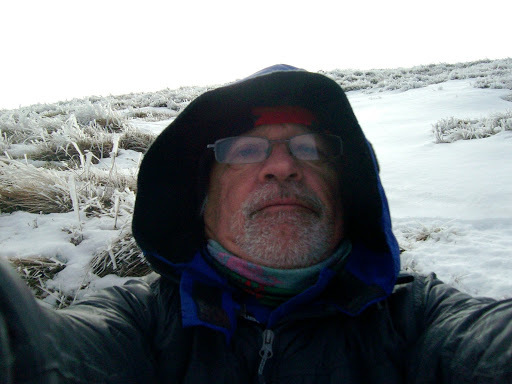 Not much chance of awalk in hill, but straight up. 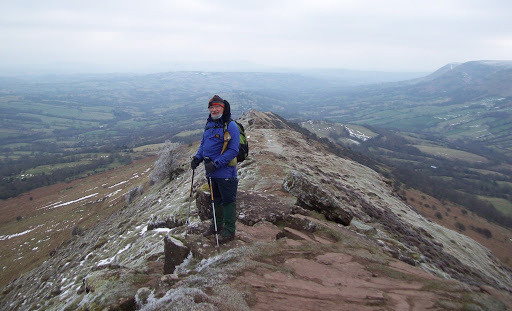 Once the climb is over and you step onto the level ground the view is well worth the effort. 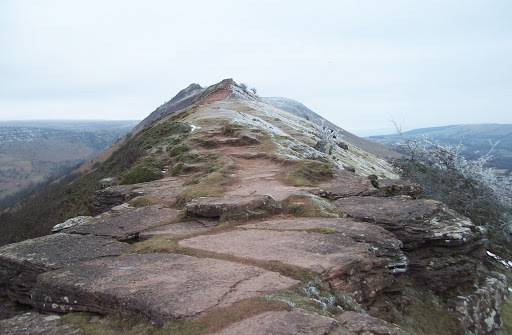 The ridge before you is just as you would imagine a ridge with falls either side albeit not direct. 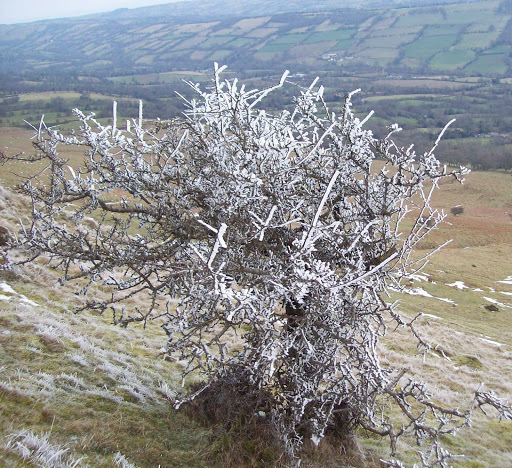 The air was very cold and the grass and the sparse trees carried interesting ice work. We had the usual photographs at the top. We followed the obvious path which, I imagine in a wet spring and summer would be very muddy. 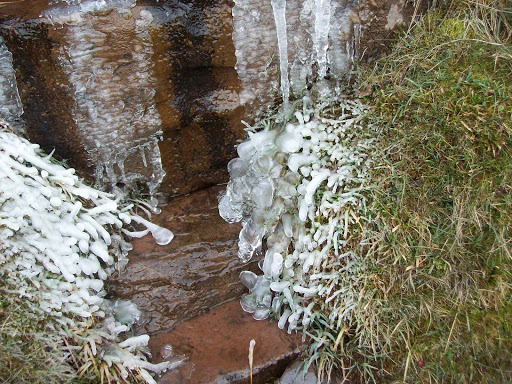 However today we crunched our way forward passing solid ice filled pools and snow fields. 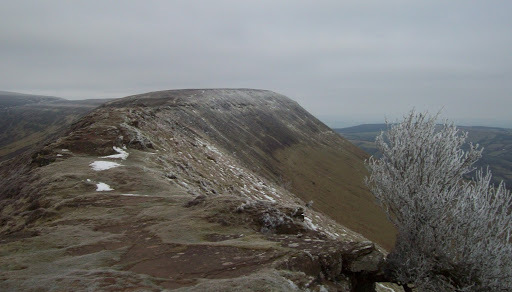 We had a quick lunch sat on the snow and decided that we would leave the trig at Hay Bluff and head back. In the distance we saw a large group of children presumably on a field trip all dressed in red kit. Hopefully the cold weather will not put them off to returning when they are older. 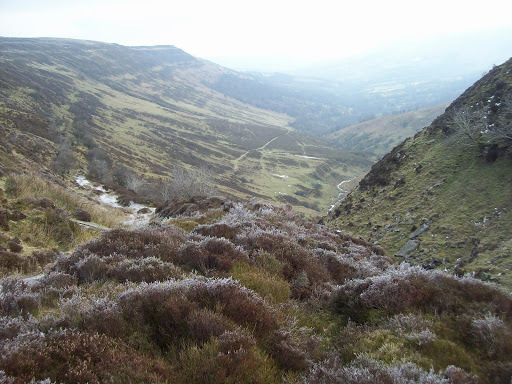 We found the junction of paths and headed towards the Olchon Valley. 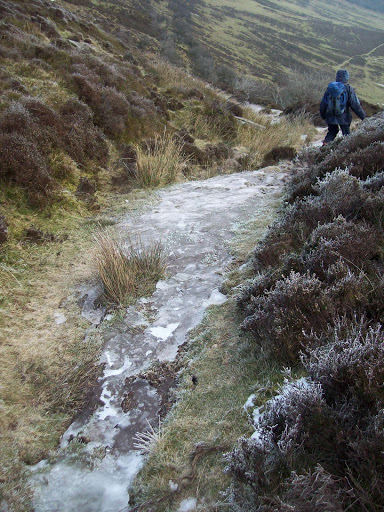 This was, at the start, a steep way down not helped by it being covered in thick ice. 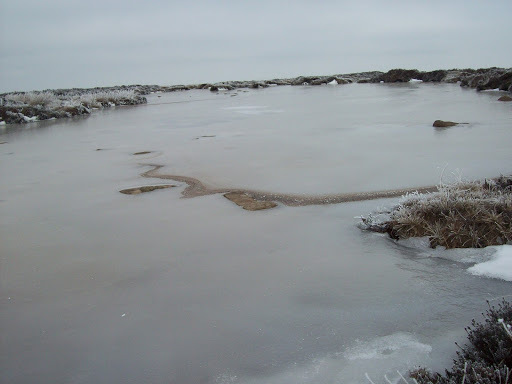 It eventually eased and the ice less. In fact the sun came out and we stopped for a coffee and a quick doze. Refreshed and the warmest we had been all day, we continued back down the valley and back to the car.